Tá sé ráite ag Príomh-Aire na Breataine Theresa May go bhfuil sí ag iarraidh tuilleadh cainteanna leis an bhfreasúra thall maidir leis an socrú faoi imeacht na tíre as an Aontas Eorpach. 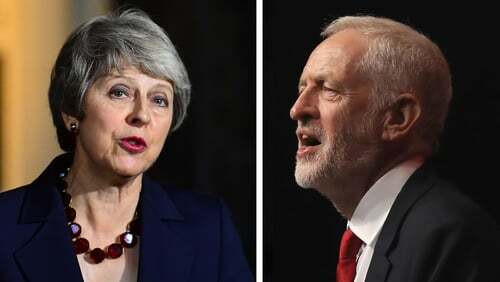 An tseachtain seo caite, thairg ceannaire Pháirtí Lucht Oibre na Breataine Jeremy Corbyn tacaíocht a pháirtí don Phríomh-Aire May ach dúirt sé go gcaithfeadh sí glacadh le cúig éileamh atá aige. Tá cuid de na héilimh sin curtha as an áireamh ag an an bPríomh-Aire, go háirithe go gcoinneodh an Bhreatain an nasc atá acu leis an aontas custaim agus an margadh aonair. Ceaptar go nochtfaidh Theresa May do pharlaimint Westminster Dé Céadaoin an leagan amach leasaithe atá aici don socrú imeachta.